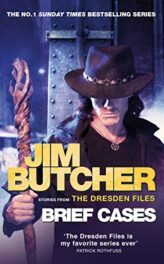 Share the post "Harry Dresden and the Dark Hallow: Yes, there are wizards, but this ain’t Hogwarts"
A nice little Dresden Files snack. 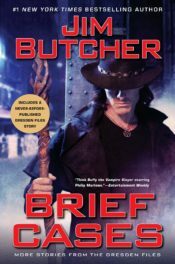 Share the post "A nice little Dresden Files snack." Still my fave. I think closely followed by Dead Beat. Anyway, Dresden Re-read complete! Share the post "Still my fave. I think closely followed by Dead Beat. 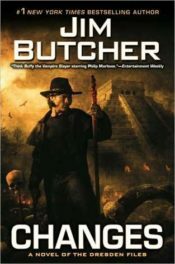 Anyway, Dresden Re-read complete!" Share the post "Sadly, Sue the T-Rex Does Not Make an Appearance. But a Very Good Boy Does"
Episode 1-24: Two People Can Keep a Secret If One of Them is Dead Wherein I review: 91. The Stranger by Harlan Coben 92. Brief Cases by Jim Butcher 93. Ghostman (Jack White #1) by Roger Hobbs What would you do to keep a secret? Harlan Coben suggests you would embark on a decades long coverup that involves the murder of your childhood friends. Roger Hobbs believes in going full ghost on the heisting. 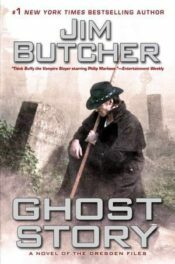 And Jim Butcher…returns from the grave!!!! Share the post "Episode 1-24: Two People Can Keep a Secret if One of Them is Dead"
Share the post "Wild about Harry?" Harry’s long dark night of the soul. Share the post "Harry’s long dark night of the soul." 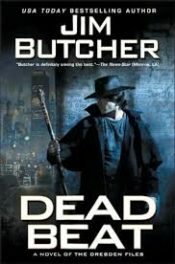 Burn it all to the ground, Jim Butcher. Burn it down. 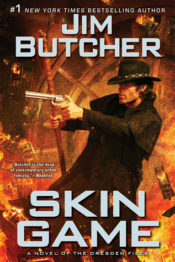 Share the post "Burn it all to the ground, Jim Butcher. Burn it down."